Helo, Crafters. I hope you’ve had a really great weekend. and went to the gym for a workout! make for one of my regular clients so it really was work. the front and then four panels on the inside with wedding related images. I’ll post the pictures once I know the recipients have received the card. 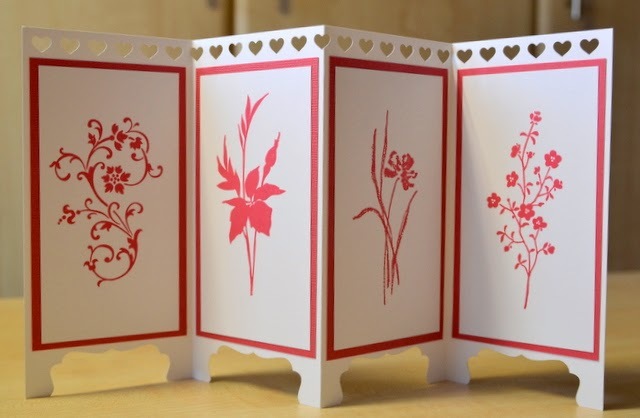 Once I had finished the wedding card, I started another screen divider card. I was particularly pleased with the row of hearts along the top of the card. use it so I didn’t finish with any “broken” hearts at either end.